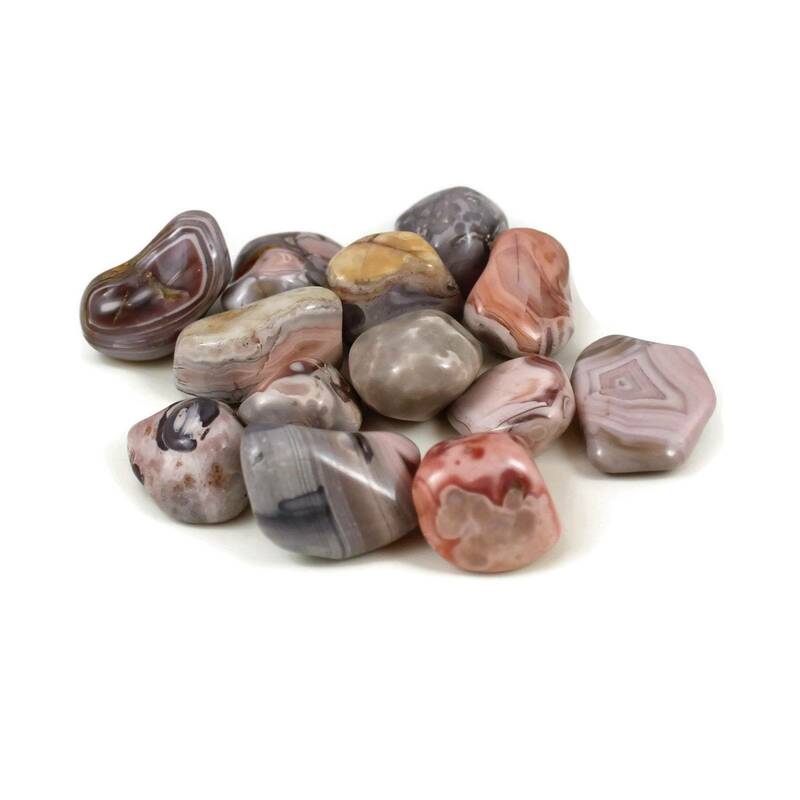 Tumbled pink Botswana Agate, available in three different sizes. 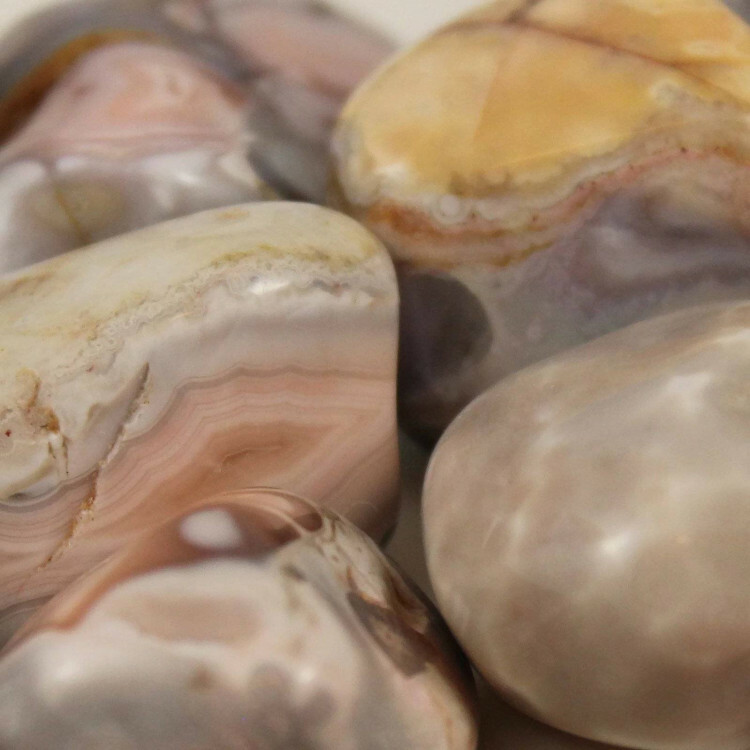 Interesting pieces of tumbled pink Botswana Agate, available in three different sizes. We sell a range of packet sizes of these stones, from a single stone to a larger packet of ten. These pink Botswana Agate tumblestones make beautiful decorations, in a crystal bowl or a small vase. They also make excellent fish tank or aquarium gravel, or decorative stones. 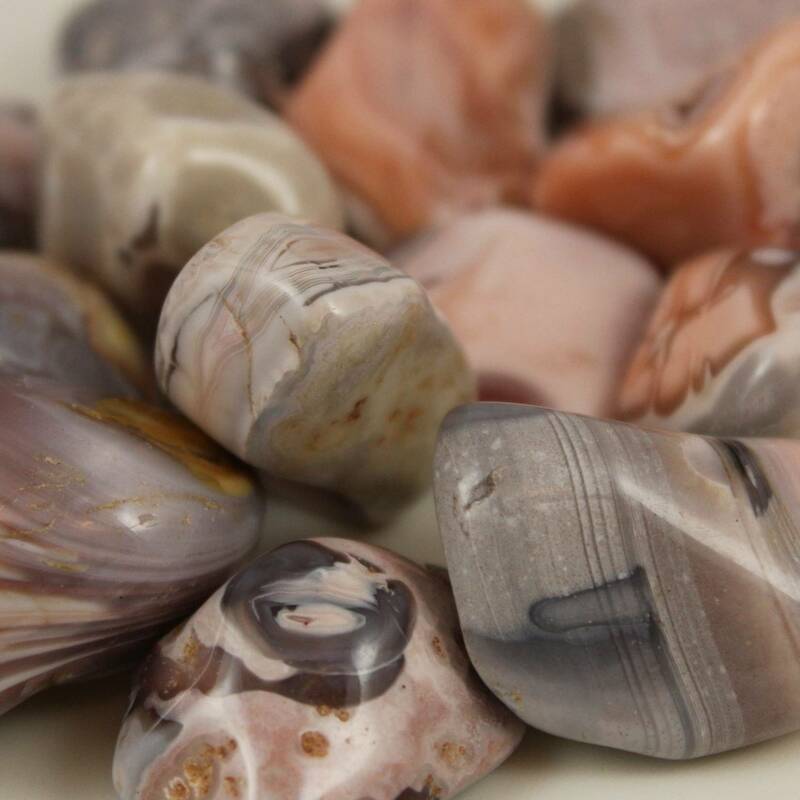 For more information about Agate and a full list of our related products, please see our main ‘Agate’ section. We sell a wide variety of other tumbled stones, including more Agate – see our tumblestone section for a full list.